Defense Secretary Robert Gates has said leaked US documents on the Afghan war posed grave risks for Americans in battle and for US relationships in the region. Gates vowed the Pentagon will "aggressively investigate" and prosecute those behind the leak and had asked the Federal Bureau of Investigation to help in the probe. The leak of 92,000 classified documents by the website WikiLeaks contained no surprises and did not call into question the US strategy in the Afghan war, Gates and the US military's top officer, Admiral Mike Mullen, told a press conference. Gates, however, said "the battlefield consequences of the release of these documents are potentially severe and dangerous for our troops, our allies and Afghan partners, and may well damage our relationships and reputation in that key part of the world." The leak exposed sources and methods for US intelligence agencies and allowed US adversaries to learn about military tactics and procedures, said Gates, clearly angry over the episode. The founder of the Wikileaks website, Julian Assange, has defended the release of the files, saying he hoped it would spark a debate about the war and that his site had checked for named informants before distributing the papers. But Admiral Mullen said there were better ways to question the war and that Assange may have blood on his hands. 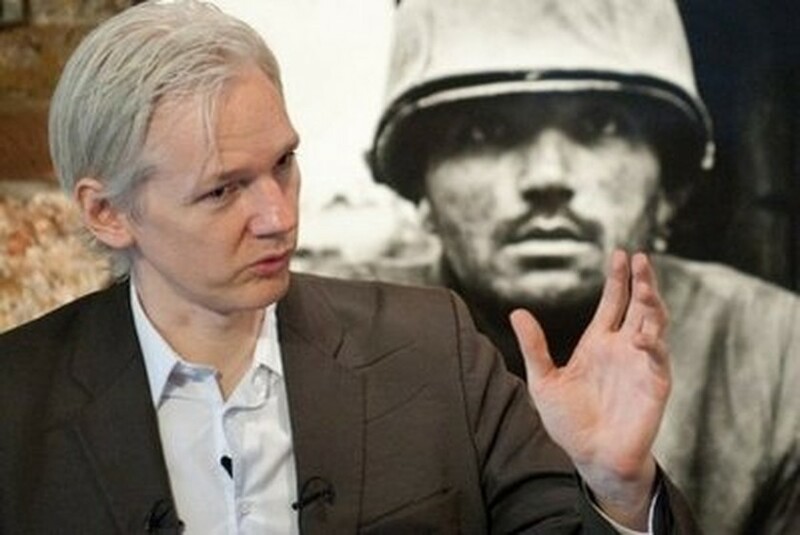 "Mr Assange can say whatever he likes about the greater good he thinks he and his source are doing, but the truth is they might already have on their hands the blood of some young soldier or that of an Afghan family," he said. Gates promised a thorough probe to find out how the "massive breach" occurred, to identify who was responsible, and to assess what information was compromised. The military will take additional steps to protect classified information and to safeguard the lives of US service members as well as Afghans possibly endangered by the leaks, Gates said. The unprecedented leak jeopardized the trust vital to gathering intelligence in the field, said Gates, a former CIA director. "We have considerable repair work to do," to fix relations damaged by the leak, he said. "That is one of the worst aspects of this, as far as I'm concerned. Will people trust us? "Will people's whose lives are on the line trust us to keep their identities secret? Will other governments trust us to keep their documents and their intelligence secret?" Afghan President Hamid Karzai on Thursday condemned the release of the documents, saying it could endanger the lives of Afghans cooperating with the US-led force. Gates declined to comment on a Wall Street Journal report that authorities had evidence linking an army soldier, already accused of leaking a classified video from Iraq, to the leaked Afghan war documents. Private First Class Bradley Manning was charged earlier this month with illegally releasing a video of a helicopter attack as well as State Department documents. The Pentagon chief said the leak will force the military to review how it shares intelligence with soldiers on the battlefield. In the wars in Iraq and Afghanistan, the military has worked to ensure soldiers deployed on the front line had the latest intelligence, entrusting troops with sensitive information. "We want those soldiers in a forward operating base to have all the information they possibly can have that impacts on their own security, but also being able to accomplish their mission," Gates said. He said he would be discussing with commanders in Afghanistan and Iraq whether to "change the way we approach that, or do we continue to take the risk."